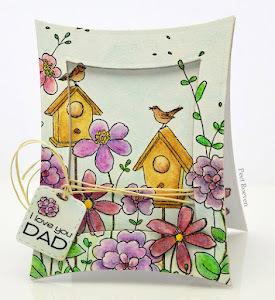 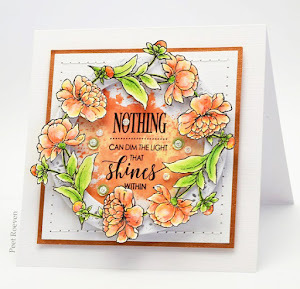 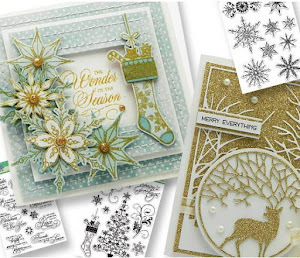 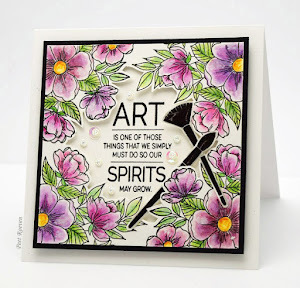 Please Check out the Penny Black Blog to see more "All Occasion"cards, two new designers, and sneak peeks of new stamps. 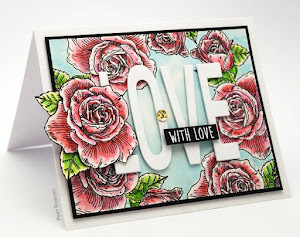 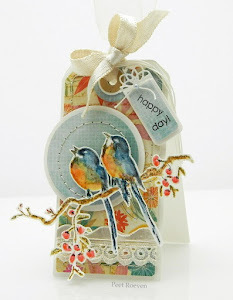 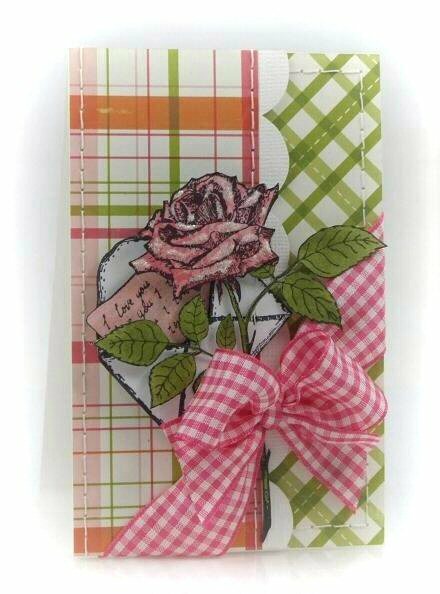 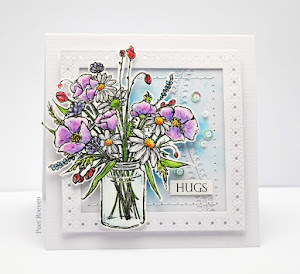 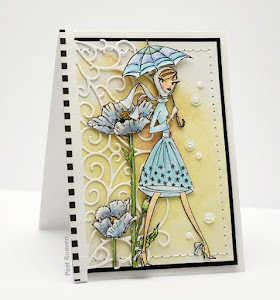 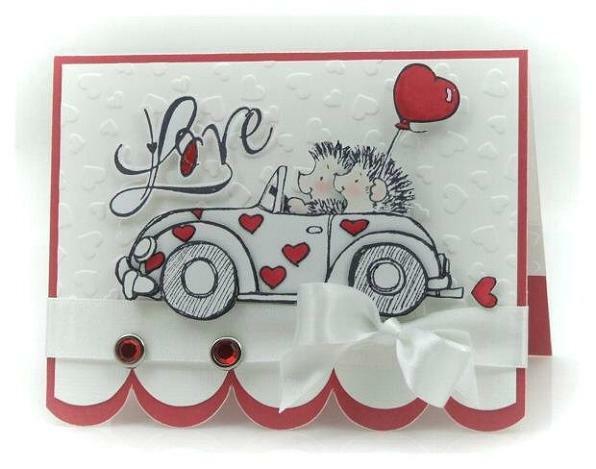 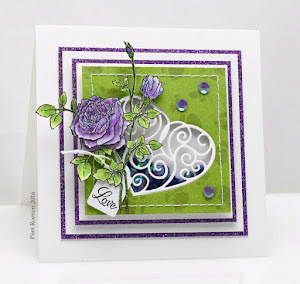 Today I have a card using Penny Black's new brushstroke stamp Rose Heart to share. 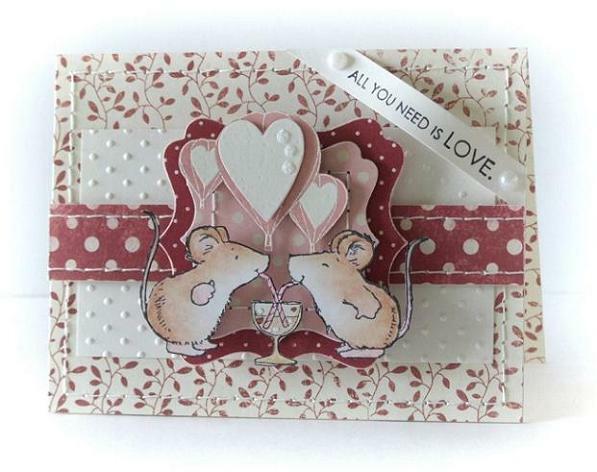 For the card base was used Fuschia Fantasies Dark M&M Paper. 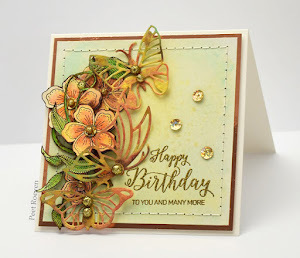 Patterned Paper: Cosmo Cricket, Brownie Bands & Bloomin Babies. 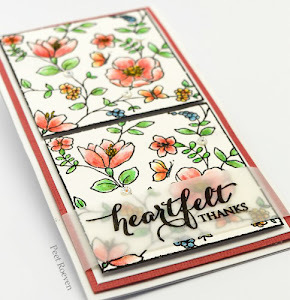 The scallop edge was hand cut.